The leading online encyclopedia Wikipedia is struggling with inconsistent article quality caused by the collaborative editing model. While one can find many helpful articles with consistent information on Wikipedia, there are also a lot of questionable articles with unclear or unfinished information yet. The quality of each article may vary over time as different users repeatedly re-edit content. One of the most important elements of the Wikipedia articles are references which allow to verify content and to show its source to user. Based on the fact that most of these references are web pages, it is possible to get more information about their quality by using citation analysis tools. For science and practice the empirical proof of the quality of the articles in Wikipedia could have a further signal effect, as the citation of Wikipedia articles, especially in scientific practice, is not yet recognised. 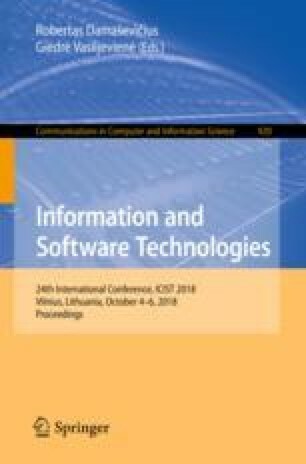 This paper presents general results of Wikipedia analysis using metrics from the Toolbox SISTRIX, which is one of the leading providers of indicators for Search Engine Optimization (SEO). In addition to the preliminary analysis of the Wikipedia articles as separate web pages, we extracted data from more than 30 million references in different language versions of Wikipedia and analyzed over 180 thousand most popular hosts. In addition, we compared the same sources from different geographical perspectives using country-specific visibility indices.